The knowledge of key anatomical structures allows safe, predictable and successful outcomes. This course will give the clinician renewed confidence in identifying both hard and soft tissues available for reconstructive techniques, patient evaluation and local anesthesia. 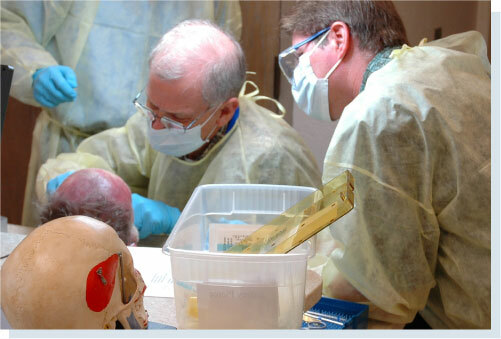 The clinician will be guided by volumetric radiography, hands-on cadaver specimens and interactive 3-D dissection. In particular, the clinician will learn low to high risk zones for circulation, neurology and bony anatomy. Special emphasis on the maxillary sinus and the inferior alveolar nerve and metal foramen. Clinicians will be able to experience a teaching environment with truly state-of-the-art technology utilizing 3-D interaction which provides a truly unique educational experience. Hands-on workshops will utilize specimens that have undergone a revolutionary preservation technique allowing for a cleaner, more pleasant dissection experience. 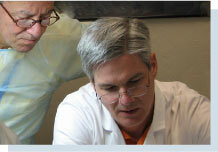 The McGarry Implant Institute is an ADA CERP recognized provider. Participants: Continuing education credits issued for participation in the CE activity may not apply toward license renewal in all states. It is the responsibility of each participant to verify the requirements of his/her licensing boards. Cancellation Policy: Confirmed registrants unable to attend may obtain a refund (less a $100 admin fee) by notifying McGarry Implant Institute no later than 4 weeks prior to the course start date. Cancellations from 2-4 weeks prior will be refunded 50% of the full course fee. Cancellations of less than 2 weeks and “no shows” will be eligible for no refund. The McGarry Implant Institute reserves the right to cancel a course with the full fee refunded. McGarry Implant Institute will not be responsible for expenses incurred by the registrant. This entry was posted by Dental Continuing Education on February 16, 2009 at 3:26 pm under Uncategorized. You can leave a response, or trackback from your own site. Follow any responses to this entry through the RSS 2.0 feed.